We are conveniently located in the Jackson Heights area of Queens, between 84th Street and 85th Street on Northern Boulevard. We are accessible via the following Major Highways BQE via Exit 41, and the Grand Central Parkway via exit 9w. If you are traveling by train please refer to the following directions. 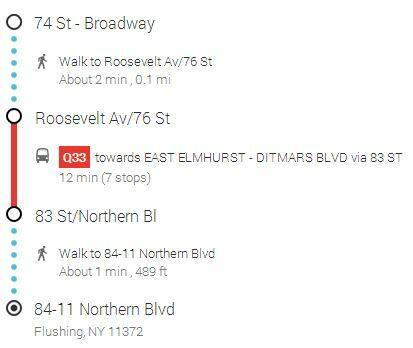 The easiest way to get to us from the Roosevelt Ave. and 74th Street Station is via the Q32 Bus. Alternatively you may also take the Q33 or the Q66. You may also use the 7 train and get off on 82nd Street and Roosevelt Avenue and walk 5 blocks or take the Q32 or Q33.